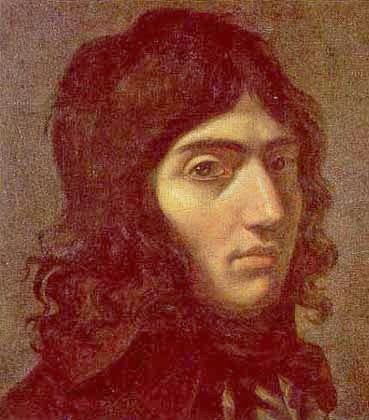 It feels like a while since we travelled to Paris and today I had intended to tell the tale of the death of Camille Desmoulins, who makes a cameo appearance in my own yarn, The Star of Marseilles. However, those very same final moments were shared with Georges Danton and the comrades died within minutes of one another so today, both share centre stage here in the salon. Desmoulins and Danton were vital to the success of the French Revolutionary cause; both were shrewd strategists and moved at the highest levels of the Revolutionary government, though their favoured positions were not to last forever. As the Terror took hold, Danton distanced himself from the Girondins and withdrew from public life, leaving the Convention in late Autumn of 1793 to retire to the country. However, Danton did not stay away long and he soon returned to Paris and resumed his political manoeuvrings, speaking out against extremism in government. In December 1793, as Danton re-established himself in Paris, Desmoulins published the journal, Le Vieux Cordelier. The journal presented an alternative to radicalism and the first issue was dedicated to Danton and our old friend, Robespierre, a man whom later issues of Le Vieux Cordelier would go on to challenge. 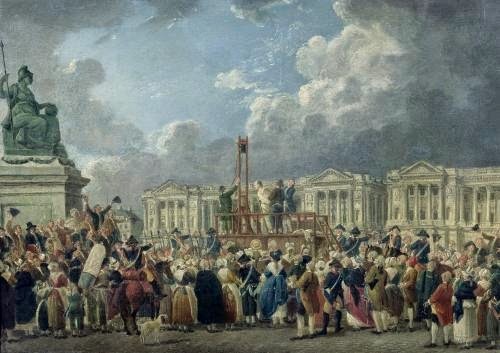 Although Robespierre initially encouraged the journal, as the publication began to grow critical of the Committee of Public Safety and the Revolutionary Tribunal, Robespierre's opinion of his friend turned darker. When Desmoulins publicly spoke out against the controversial Law of Suspects, the Jacobins reached the end of their tether and moved to expel the journalist from the Club. Even now Robespierre attempted to warn Desmoulins of the possible implications of publishing such critical pieces, but the journalist's refusal to moderate the content of Le Vieux Cordelier meant that Robespierre could not afford to be seen to be indulging him. 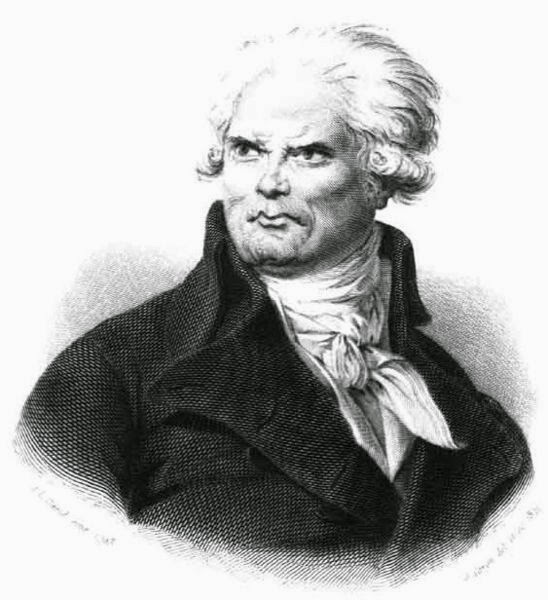 Once Danton's own reputation was thrown into doubt after his secretary, Fabre d'Églantine, was involved in a fraud case, Robespierre joined the voices asking for Desmoulins to be removed from the Jacobin Club. The stage was set for trouble and Desmoulins and Danton were arrested in the last days of March, along with 13 others. A chaotic trial began on 3rd April and Danton spoke furiously and passionately in his own defence. In fact, so concerned were his prosecutors that he might swing the verdict that they introduced a new measure that forbade defendants from addressing the jury or calling witnesses and even went so far as to remove the men from the courtroom. It was hardly surprising, therefore, that all of the accused were found guilty and their executions were scheduled to take place on 5th April. And was his wife, Lucille, executed as well ? One does like to know the end of the story! She was indeed, on 13th April. Thank you for visiting! Have you seen the film 'Danton' which covers these events? I have and we actually rewatched it again very recently. It's an immensely powerful film, I recommend it heartily to anyone who hasn't seen it! Georges Danton não calou-se ao extremismo do governo. is the film Danton in English..or at least englsh subtitles...? Have you read Mantel's book. She left me with an abiding image of Camille with a stutter. The other memory of reading the book is that Danton's second wife (not long married) and young was relieved to be released from her great big husband. Not sure how true this is. Certainly a fascinating time. I have read it, but not for a long time - perhaps it's time for a reread!